A Witsie who faced the prospect of not graduating due to outstanding fees, was finally able to do so, after raising money via a social media campaign. Thabo Makhuru, 28, was not able to meet the outstanding fee threshold required to graduate with his LLB degree so he took to Twitter to raise enough money to allow him to graduate. “After my many years at Wits, I finally finished my law degree. All I need now is someone 2 help me pay for my fees so that I can graduate,” he tweeted, along with a picture showing a transcript with his grades. The post received positive feedback and a donation of R5 000 was made to Makuru’s account. He was then able to make an arrangement with the university to allow him to pay of the rest of his debt after he graduates. Makhuru comes from a family that is headed by his pensioner mother so he had applied for financial assistance and was funded by NSFAS from 2008 until 2015. His funding request for 2016 was then declined because he exceeded his years of study. Makuru, originally from Mpumalanga, then applied for another means of financial assistance and received a letter from a sponsor which promised to pay for the remainder of his academic years. “I received a letter from the Thusani Foundation who promised to pay for my fees but in the end disappeared again and stopped taking my calls,” he explained. Marike Bosman, Commerce, Law and Management (CLM), registrar told Wits Vuvuzela that 29 students in the law department had outstanding fees and could not graduate in the last round of graduations. Wits University fees manager, Ismail Soobadek, stressed that students owing above a certain amount will have to find a way to pay in order for them to graduate. “The university’s policy and concession is that anyone who owes R15, 000 or less, we allow you to sign an acknowledgement of debt for the remaining amount, and we allow you to graduate,” he said. Being the first child in his family to have received a degree, Makhuru said getting this degree was not easy for him. 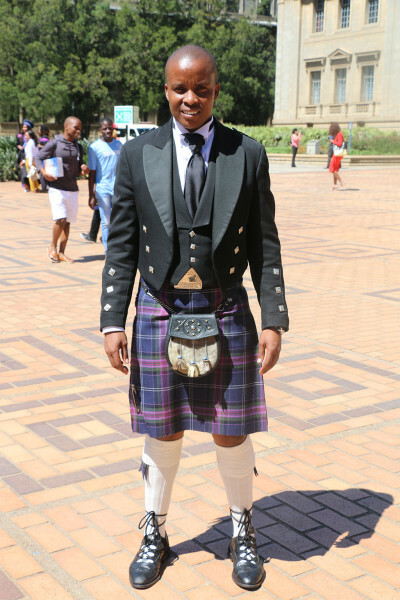 “I’m from a rural area in Mpumalanga where English was not our first language, so being taught by people who spoke English without mixing it with vernacular was a big deal for me, so understanding English was really not easy for me,” he said. The law graduate is hopeful about getting a job, despite the number of years he spent trying to pursue his degree. “I know it’s not going to be an easy task … but I know there’s law firm out there that will hire me,” he said proudly.